Beau LeFrancois’ mother never saw the accident coming, and she certainly never imagined the problems that come with wrecking Bett Diaz’s luxury SUV. Fortunately, no one was hurt but the car needs extensive repairs, and she also must pay for the damage to the other car. The problem is, the LeFrancois family is going bare—unable to even afford car insurance. Beau volunteers to work off the debt at the Diaz Ranch. What he isn’t prepared for is Bett Diaz. 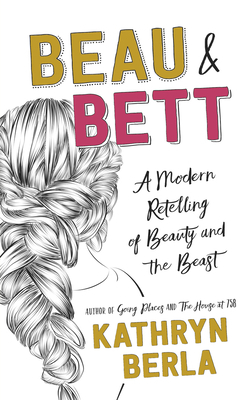 Bett is known as ‘The Beast’ at their school because of her bad temper, Beau approaches the job with caution and vows to stay away from the boss’s daughter. However, Bett has other plans—bored and friendless, she finds excuses to shadow Beau whenever he’s at the ranch. After hours spent in her company, Beau learns the secrets behind Bett’s tough exterior and finds himself falling for her. That is, until he catches Bett in a lie.